Boil chicken until it falls off the bones. You can do this part in the crockpot, so that when you get home from working/shopping, it's all ready to shred. Steam fresh broccoli. (I even travel with my little steaming pot system). 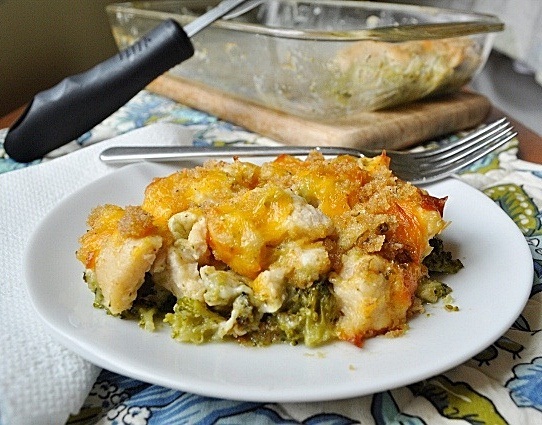 Layer broccoli, then shredded chicken, then sauce. Garnish with a cup of croutons and 1 cup shredded cheese. Bake at 350 degrees for ½ hour.